Address: 1095 Budapest, Soroksári ut 12. 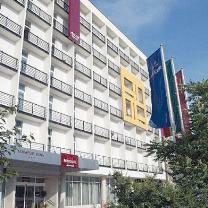 The hotel is situated on the Pest side of the Petofi bridge, close to the center of the City. Thanks to its location you can enjoy the picturesque view of the Gellért hill, and the Danube river.